Learning languages is like a long-distance run. It is necessary to put a lot of effort and time into it in order to achieve results. Fortunately, new technologies are on our side and now we can access online resources any time of the day, at any place on the planet where we have a device (computer, mobile phone, tablet…) and an Internet connection. In this article, we give you some tips to learn languages online successfully and without losing your motivation along the way – take the first step to learn another language! Although it may seem obvious, the main key to success in learning another language is having a reason to do so. Using a sports example, how likely is a player to score on goal if he or she does not have the motivation to shoot for a goal? Certainly not too many and, although luck may also help you score a goal, if you want to have a career as a footballer you will need to be convinced that you are capable of scoring a goal. So, before you start thinking about what makes you want to learn a language, is it just a passing thought – are you willing to keep that goal in the long run? Don’t forget that once you’ve found that motivation it’s important to commit to learning. You should be aware that you will have to spend time in front of your computer on a regular basis if you want to move forward, your effort will be rewarded as soon as you are able to have your first conversation in another language. 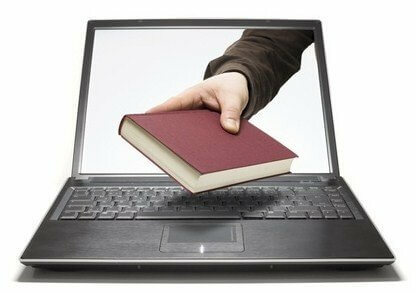 If you really want to be sure you are learning a language, it is best to complement your studies with online classes. You will progressively make progress in that language and have a teacher who will guide you in your learning. Their main advantage over traditional courses is that they offer greater flexibility than classroom courses: you choose when you to learn and how much time you’ll spend, without having to go anywhere. When choosing where to enroll, it is important to take into account those centers that have official accreditation and agreements with prestigious academic institutions. For example, if you want to learn Spanish, the online courses of Latino Schools, recognized by the Peruvian Ministry of Education, are a good option to consider. In addition, they have agreements with universities such as The State University of New York or the University of Mary Washington, which allow Spanish students with beginner to advanced levels to earn university credits for taking one of their Spanish courses in Ecuador, Peru or Bolivia. If you’re into French, the Institut Européen de Français (IEF) online French courses are perfect for making your French language progress at your own pace. And because everyone has a different lifestyle and different needs, they offer different training packages that combine online courses, virtual classes and private French lessons via video conferencing. You can also opt for a language immersion in French from home before traveling to France to take any of its many French courses, accredited and certified by important French institutions. In addition to following the online classes, it is also recommended that you use other online resources to reinforce those aspects that are not very clear to you or to learn more about the language. For example, Latino Schools offers several free online resources to learn Spanish designed for people who have English as their native language to help answer some common questions about using Spanish. You’ve already defined what you want to learn that language for, committed to taking the time to study it, and even enrolled in an online course to make those steps in the new language more solid – what else can you do? Try to immerse yourself as much as possible in the language when you are not studying it. A good way to do this is to change the language of all your devices to the language you are learning, enjoy the series and movies in that language (better if you also have subtitles in the same language) and read news in the local media and blogs, which will also help you to keep up-to-date with current events in countries where that language is spoken. Another interesting idea is to join online communities (forums, blogs, social networking groups…) where you can exchange language with native speakers and communicate with them in their language. When learning languages it is advisable to do it the way children do it: without fear of making mistakes when it comes to expressing themselves and always looking for the fun side of things. Getting out of the comfort zone and daring to face conversations in that language without focusing on whether you are making a mistake with your grammar or vocabulary is the first step in moving forward. Just as when we are trying to learn to ride a bicycle we assume that falls are normal, making mistakes in a language that is not our mother tongue is something we should not be ashamed of. Remember that no matter how much you study if you don’t put it into practice in real situations, the more times you do it the greater your ability to deal with new situations. Another key factor when learning languages online is the ability to do so in a low-stress environment, because stress blocks learning. The more entertaining and enjoyable the online resources you use, the easier it is to make progress in that language. Good tricks to do this are to practice the language online while doing other activities such as sports, walking your dog, traveling by public transport or by car. Incorporating it into your daily routine is another must if you want to become a language expert.